If you can’t get enough of Twitter, there’s no need to pull out your iPhone to catch up on all the latest tweets. 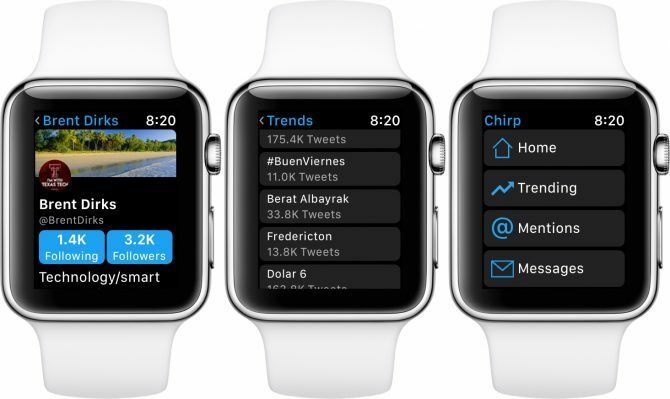 Designed specifically for the Apple Watch, Chirp for Twitter is a full-featured client even on the small screen. With the free version, you can get a taste of the overall experience. An in-app purchase will unlock Chirp Pro. This enables the ability to post your own tweets, browse your timeline, and more. You can even customize the look of the app by enabling or disabling certain features.